The American Human Rights Council (AHRC-USA) is proud to honor these esteemed organizations and individuals dedicated to upholding human rights and social justice. The AHRC Gala will be held on Friday, April 26, 2019 at 6:00Pm at the Greenfield Manor Banquet Hall in Dearborn. 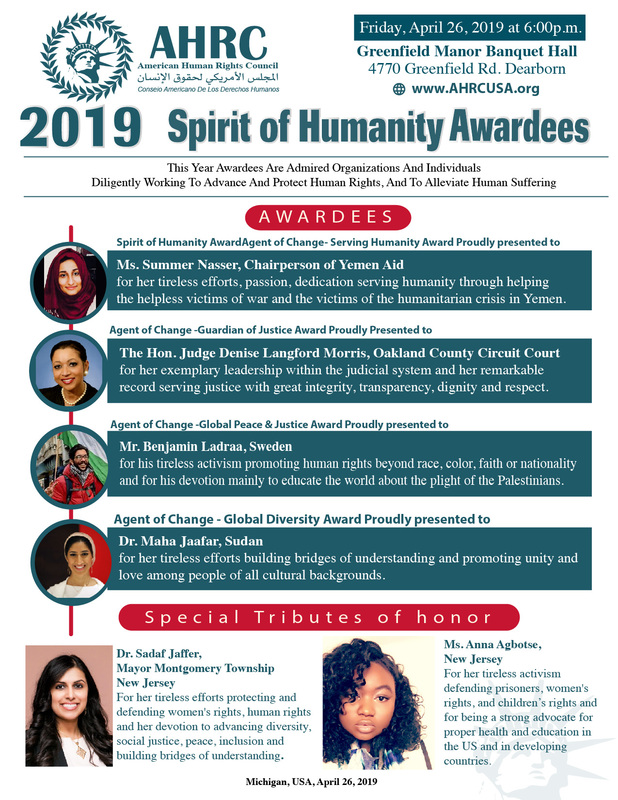 The AHRC “Spirit of Humanity” Awards & Dinner Gala is expected to be remarkable and a memorable event celebrating human rights and human dignity.